If your unwanted fine lines and wrinkles have you feeling down about the way you look, you may consider a safe, effective cosmetic dermatology procedure to help you take your look back and feel good about your appearance. Microneedling can help increase the production of collagen and elastin in your skin to reduce the appearance of fine lines and wrinkles and tighten the skin to look younger. Find out more about microneedling with Dr. Robert Zabel at Center for Dermatology in Lakeville, MN. Microneedling aids in the production of collagen and elastin to reduce the appearance of fine lines and wrinkles, acne scars and stretch marks, improving the skin’s texture, tone and color. With minimal downtime and minimal discomfort, you will love the natural results. 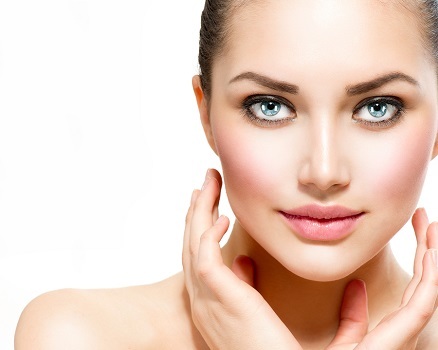 This procedure is affordable, effective, and safe for all skin types. What can I expect during a microneedling treatment? A light anesthetic cream will be applied to the face to help prevent discomfort during the treatment. A layer of hydrating gel will be used throughout the procedure to lubricate the skin while the microneedling device rolls over the skin’s surface. The process takes about 60 minutes, including the application and activation of the anesthesia. There is no real down-time after this procedure, but your skin may appear red, feel slightly sunburned or peel slightly. This will subside within 24 -48 hours leaving your skin looking fabulous and feeling rejuvenated! Most patients need more than one treatment to see optimal results. A package of 3 is recommended along with a healthy skin care regimen. If you think you can benefit from microneedling, a consultation will allow you to ask any questions and address any concerns you may have, ensuring that microneedling is the most beneficial dermatological treatment for you. For more information on microneedling, please contact Dr. Zabel at Center for Dermatology in Lakeville, MN. Call 952-469-5033 to schedule your appointment today!